Cognitive psychologists have been interested in individual differences in complex cognitive processes and intelligence since the cognitive revolution. A good deal of the research in this area has focused on individual differences in reasoning ability, but even more has focused on differences in working memory. Individual differences in working memory have been related to reasoning, problem solving, reading comprehension, discourse comprehension, intelligence, and a great many more cognitive tasks. Chapter One presents a review of working memory theories that call for access to long-term memory to supplement the limited capacity of working memory during complex cognitive processing. It also presents a review of the evidence that facilitation of procedural memory is an individual difference related to complex cognitive processing, and the different theoretical interpretations of that evidence. Chapter Two discusses individual differences in two health-related outcomes: emergency severity index (ESI) scores as assigned to patients by nurses and other healthcare professionals, and pain scores as reported by patients. Chapter Three examines the psychological effect of a forest environment and how it can differ depending on a subject’s initial values. 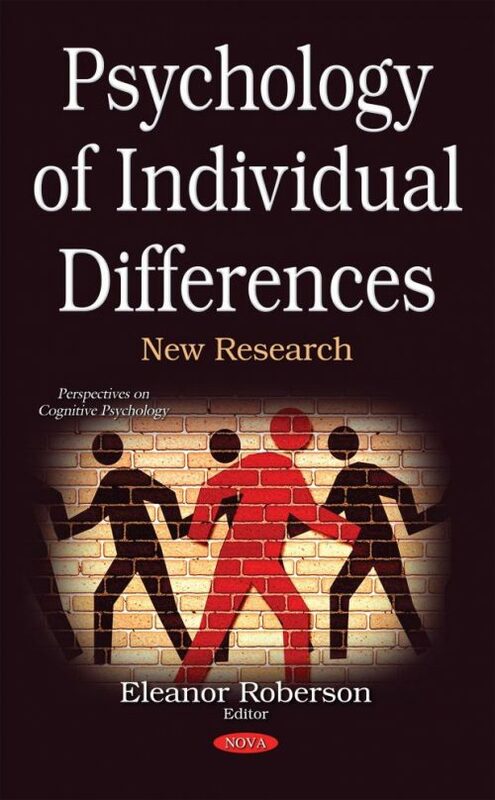 Chapter Four focuses on non-cognitive predictors of individual differences in education outcomes, and discusses the model of mental toughness. Chapter Five studies if non-criminal psychopathy is associated with reduced electrodermal arousal using measures comparable to those employed with criminal samples. Chapter Six discusses associations between the Big Five personality traits and social physique anxiety in women. The last chapter uses a theory-based approach to examine the construct validity and the usefulness of the OCEAN.20 personality dimensions in predicting training/academic performance.